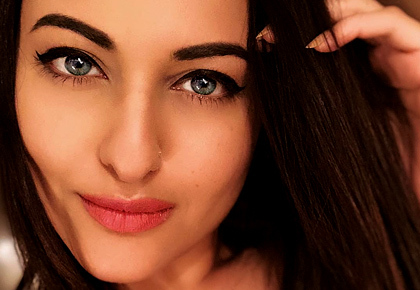 Sonakshi Sinha is on a roll. The actress is all set for the release of Happy Phirr Bhaag Jayegi, a sequel to the 2016 hit. 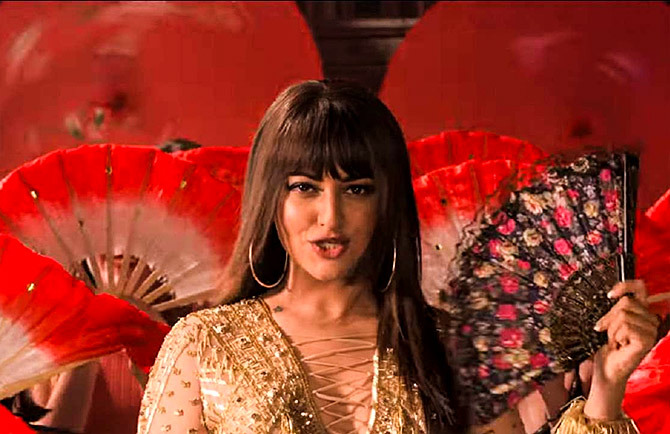 Then, she will shake a leg with Dharmendra, Salman Khan, Rekha, Bobby Deol and Sunny Deol in Yamla Pagla Deewana Phir Se‘s special song Rafta Rafta. 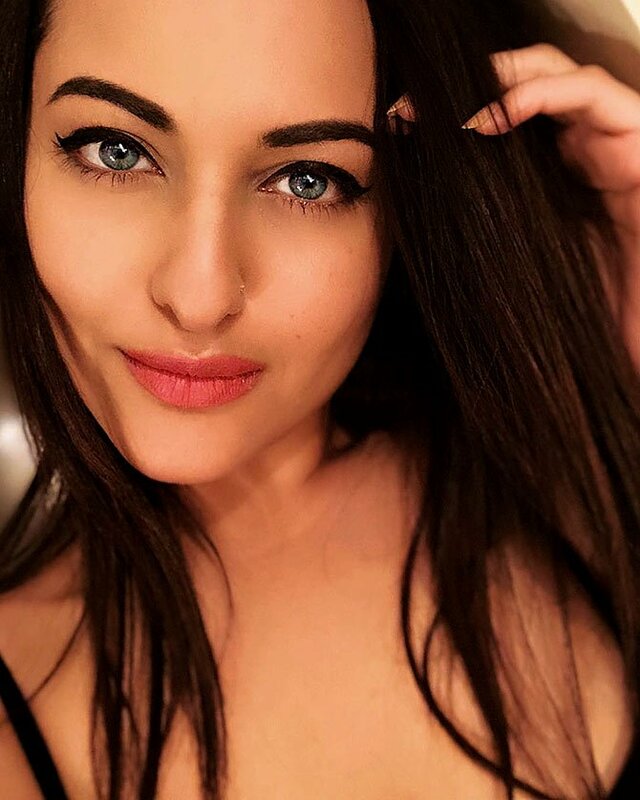 After that, she has Abhishek Varman’s ensemble Kalank, co-starring Sanjay Dutt, Madhuri Dixit, Varun Dhawan and Alia Bhatt. She will also be part of the third installment of the Dabangg franchise with Salman Khan. Add to that her stunning transformation into a slim diva that has caught everyone’s attention. What made you take up Happy Phirr Bhaag Jayegi? I loved the first one and that’s the biggest reason why I am doing the second one. The entire team is the same — the producer, the director. All the characters who were loved in the first one have been brought back. It’s a fun watch, light-hearted, with a little bit of romance. Is there any pressure on you since the first part did well? No. Actually, it just felt like the right thing to do. Whatever people loved in the first part, all that is there in the second part too. And we will give them something new as well. We will give the audience two ‘Happys’, double the fun, double the entertainment! There is no pressure. I approach every film like my first. Did you relate with Happy? It’s who I am in real life also: An Indian girl with Indian values, with my heart at the right place and goals in my mind that I have to achieve. 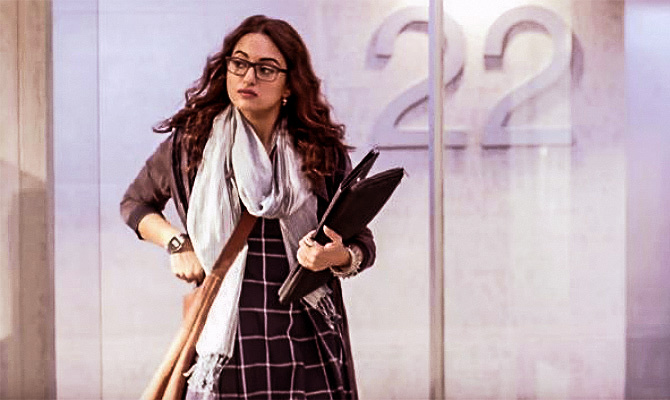 After Akira, Noor and Ittefaq, which had almost no music, to get into this zone and shoot for the Happy sequel was fun. I am Punjabi at heart, maybe because I listen to Punjabi music (laughs). Even my nature is larger-than-life, which is a very Punjabi trait. I’m trying to pick roles that challenge me. 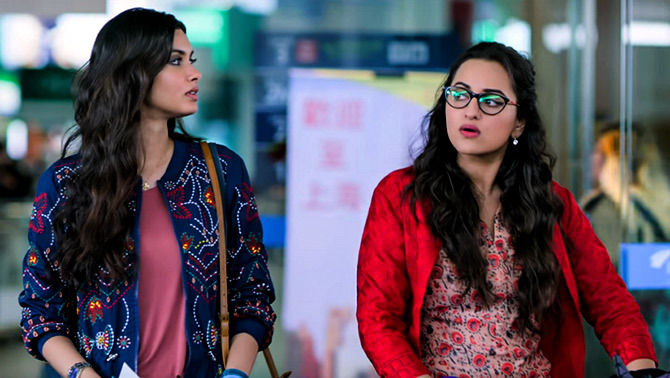 For instance, people find roles like Lootera or Noor challenging, but I don’t think that way. For me, playing a village belle is more challenging because that is not who I am. It isn’t close to my personality. Also, it depends on the script and the director. They already have in mind what they want their character to look like. When a director wants something different out of you, that is challenging. Is comedy among your favourite genres? I am comfortable doing comic roles, so I would think it is my favourite genre. In real life too, I am a humorous person who doesn’t take things to heart. I am always cracking jokes. People say comedy is the toughest genre. What is your take on it? There are so many versions of comedy — there is dark comedy, slapstick comedy, humour comedy, logical comedy… that is there in Happy. It’s not mindless comedy, there is a story. It’s very important to have that timing when you perform. Half the onus is on the director to extract it from the actors. The other half is on the actors. And it is either there or not. Jimmy Sheirgil does straightface comedy, which is so much fun to watch. It’s very difficult to get the act right. Sometimes you have it, sometimes you have to acquire it. You have been doing a lot of solo heroine films. Is it a conscious choice? A film is a film, I don’t look at it as a hero-centric. For me, the role has to be really good. I am very instinctive when it comes to films. I have to react at the narration stage. If I am just sitting and nodding my head, it’s not something that interests me. With this film, I was laughing at the right places, I was emotional at the perfect times. So as soon as Mudassar (Aziz, director) left, I knew I was going to be doing this film. Are you happy with the response these solo heroine projects have got? Absolutely! My performances were appreciated in each one of them. The box office isn’t in our control. And I learnt so much! It is not easy to shoulder a film on your own. They were truly great experiences and the roles were very powerful. They helped me grow my craft. You are in the best phase now. Do you fear losing it all? I have never thought like that. I have not gone into that zone because that is too much fear for no reason. I enjoy doing movies, and that is my concern. I don’t get into these other peripheries. How proud is your father with your achievements? Do you go to him for advice? 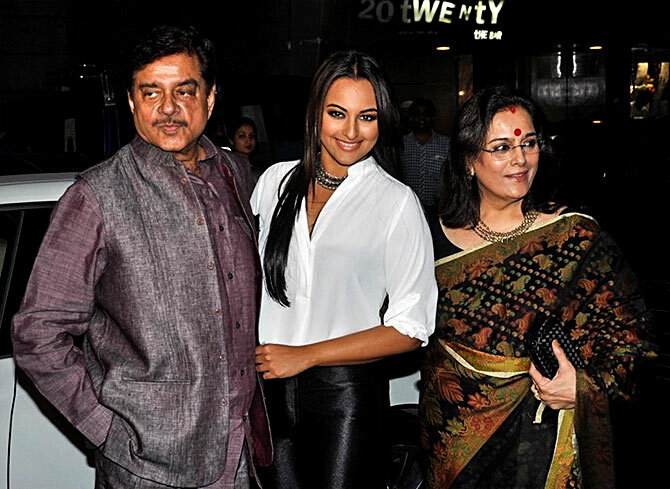 He is very proud when people approach him as Sonakshi Sinha’s father. He doesn’t sit me down and give me advice as such. But he is always there to help me out. I turn to him for suggestions. And I am the youngest, and that too a daughter, so he thinks whatever I do is the best. If I need to run it by someone, then I do it through my mom. I value her opinion because it is from the outsider’s perspective. Mudassar Aziz said you are a good actor who does not get enough opportunities. Do you agree? In the last few years, I have got a lot of opportunities. Before that, I was trying to establish myself as an actor. The reach I got with the kind of films that I did people might feel I didn’t have enough roles. But yes, I am now choosing subjects, which are different. Karan Johar said doing two-hero movies is difficult. What do you think about two-heroine films? Is it the same? It is easier to work with them. I have never faced that two actresses cannot be friends and cannot work together. Do you regret doing any movie? What is most important is what you learn from experiences. I did not go for acting classes, dance classes or anything. Whatever I learnt was from the shoots. I was told I have to do this film called Dabangg. So I don’t regret anything. Kalank has an ensemble cast. What has your experience been like? It is such an honour and pleasure to share space with such wonderful actors. When you are in the same frame as them, you perform better. You will be seen along with your dad Shatrughan Sinha, Salman Khan, Rekha in Yamla Pagla Deewana Phirr Se in a special song, Rafta Rafta. Tell us about it. Oh yes! This is absolutely unplanned. Dharamji mujhe kahin bhi bulayenge, toh main pahuch jaongi (If Dharamji calls me at any time, I will be there). When he called me for the song, I cancelled everything and made sure that I landed up. Our families have been so close. Dad and Dharamji have been friends and have worked together. The costume was decided a day before the shoot. I called dad and told him to come on the set and that is how it happened. It was a such a wonderful atmosphere. Sharing the same screen space as Rekhaji, I felt I was in heaven. When do you begin shooting for Dabangg 3? After Salman Khan is done with Bharat and I am done with Kalank, we begin shooting for Dabangg 3. That’s the beauty of a franchise film: The characters Chulbul and Rajjo remain the same, but the story keeps changing. I have realised that consistency is key. In the last six, seven months, I have become regular and particular. Anything you do, just do it regularly. I am enjoying it because you get to see the results. The best part is the kind of reach you get. It is not just about the fame, but the good that you can do with the popularity. One of the not-so-good things is the constant judgement and the invasion of privacy. Why’s Rahman hanging out with Will Smith?